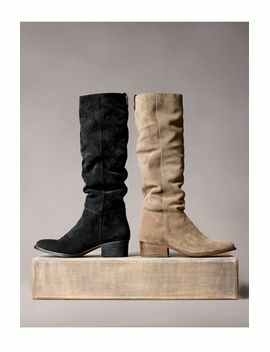 This knee-high boot kicks back in casual style with a slightly slouched shaft and soft suede construction. 1 1/2" heel (size 9). 15 1/2" boot shaft; 15" calf circumference. Suede upper/synthetic lining and sole.